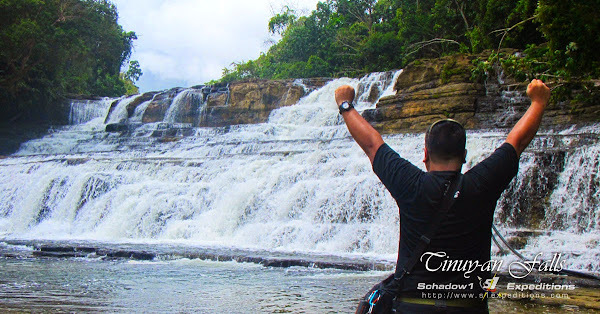 Tinuy-an falls is the widest, multi-level waterfall in the Philippines located deep toward the rainforest of Bislig at Barangay Burboanan, Surigao del Sur of Mindanao. 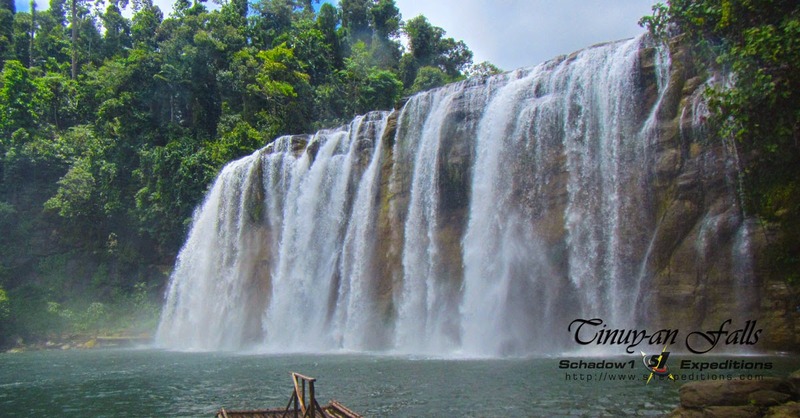 It features a ravaging yet magnificent clear waterfalls emanating from the rainforest that separates Surigao del Sur and Agusan del Sur. It supplies water to Bislig river and flows towards the Philippine Sea and the Pacific Ocean. Tinuy-an is a local word which means in English, "to intentionally perform an act to attain a goal". 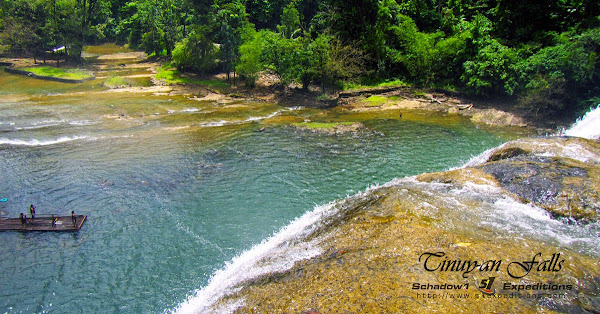 It was named as one as the falls is the site of the uprising of the Magdiwata tribesmen against their conquerors from Agusan to which the plot was made to end their slavery by attacking their conquerors. During the pre-Spanish colonial era of the Philippines, the tribesmen of Agusan were technologically advanced having been performing trades as far as the modern day China; to which they were considered as the first sea explorers of Southeast Asia. The highest level of the falls can be reached via stone steps created by the locals with a total of 93 steps to the top. Safer means of transportation via vans are also available and can be arranged by the tourism office through Bislig Tours. They have tours to other nearby attractions in Bislig including the Doll House Collection, Britania Group of Islands and Hinayagan Cave. As for us, we hired a habal-habal From Hinatuan Bus Terminal to tour us around Hinatuan and Bislig of Surigao del Sur for Php1200. This has toured us to the Enchanted River, Tinuy-an Falls and Hinayagan Cave all throughout the day. You may contact Kuya Gaga Perolino at +63 (939) 4996428. He is a reliable guide and habal-habal driver who can also speak Tagalog well. The entrance to the Tinuy-an Falls park costs Php 50/pax. Services of a tour guide is required; which you can give a tip of any amount when you plan to climb the other levels of the waterfalls. The trip to Tinuy-An Falls is part of our 7-day mapping expedition to the eastern seaboard of the Philippines; covering 13 provinces from Mindanao's Caraga Region to Eastern Visayas and Bicol which acquired over 500 waypoint data and covered over 2,700 kilometers of roads, trails and ferry routes. The data has been donated to OpenStreetMap Philippines and a GPS routable map of the Philippines is being compiled by Schadow1 Expeditions regularly to which it can be used for navigation assistance for tourism and humanitarian purposes.